Bianco White Carrara 3" x 6" Subway..
Italian White Carrara Marble Polish..
2 in. x 12 in. Italian White Carrar..
4 in. x 36 in. 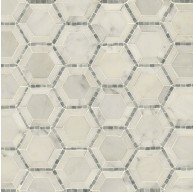 White Carrara Marble..
Italian Carrara White 2" Octagon Ma..
Arabescato White Carrara Linea Mixe..
2 in. x 12 in. 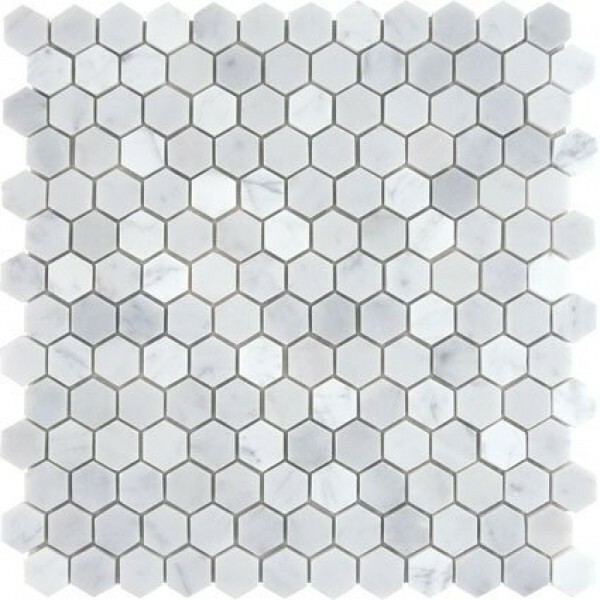 Arabsecato Carrara C..
Telaio 2" Hexagon Marble ..
Statuario 2 in.x 2 in.Hex..
Sandhills Hexagon 6mm 2 i..
Driftwood 2" Hexagon 6mm ..
1" Black Hexagon Matte Fi..
1" Rosette Pattern White ..
You are saving: 41% on this item. Sheet Size : 12 in. x 12 in. 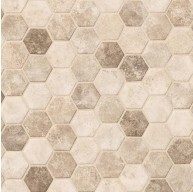 This premium quality carrara marble hexagon tile is prefect to give a touch of style to any space. 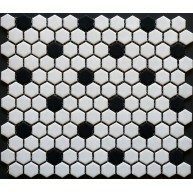 This white hexagon mosaic tile comes in the form of 12” x 12” mesh mounted mosaic sheet which approximately cover 1 sqft. 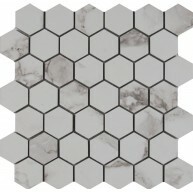 This carrara marble mosaic tile has 168 chips of 1” x 1” hexagon arranged in an interlocking fashion. 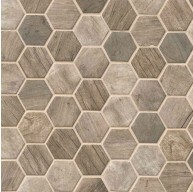 The surface finish of this tile is honed, a smooth matte non skid / non slip finish which makes it perfect shower floor tile. The white carrara marble tile is constructed from 100% natural Italian carrara marble. 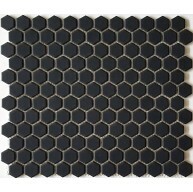 The mosaic tile is recommended to be installed in variety of areas such as bathroom and kitchen backsplash, accent walls and shower floor. 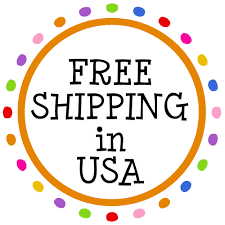 Free of charge Local pick up is available on this item from Southern California warehouses.